Sleeveless mini dress styled in shades of green. 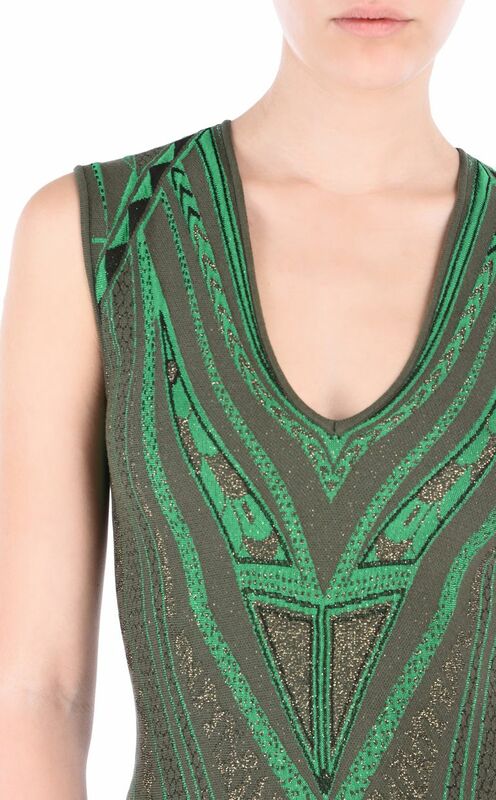 Featuring contrasting geometric and animal-print details all over the body. Flared cut and a V-neckline. Slim fit.